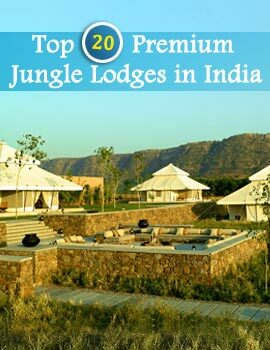 The Nagarjunasagar Wildlife Sanctuary in Andhra Pradesh is spread across five distinct districts of Andhra Pradesh. Bordered by the Annamalai hills in the south and the Krishna River in the east, the Nagarjun Sagar Wildlife Sanctuary covers an area of 3,560 sq km. Within the area of the sanctuary is the temple town of Srisailam visited by a number of pilgrims. 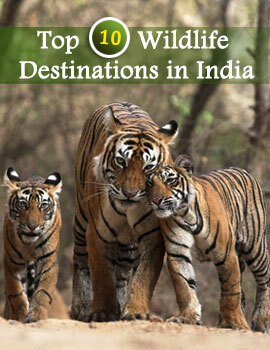 The Nagarjunasagar -Srisailam Wildlife sanctuary is the largest tiger reserve in India. The conservation history of the Nagarjunasagar Wildlife Park mainly dates back to 1973 when it was declared a protected area. In the pre independence era, the southern half of the Nagarjunasagar wildlife sanctuary was controlled by the British while the rulers of the princely state of Hyderabad used the Northern part of the Reserve as their royal hunting ground. The forest path of Nagarjunasagar had been open for human visits since pilgrims from all over used to cut through forest routes to reach the pilgrim centre at Srisailam. In 1973, the area came under protection and was declared a wildlife sanctuary. Later it came under the Tiger Project, during 1983. The Nagarjunasagar -Srisailam sanctuary was renamed the Rajiv Gandhi Wildlife Sanctuary in the year 1992. Use of fire arms, chemicals, littering thrash and use of polythene packets are strictly prohibited. Using radio or tape recorders is also prohibited to prevent any disturbance caused to the animal lives.